The Mille Miglia will be held between 16-19 May 2018 on the traditional route from Brescia to Rome and back. The race dates back to 1927 and after decades of engine silence it was reborn in 1977. We covered its exciting history when we attended in 2016. Chopard has sponsored the ‘la corsa più bella del mondo’ since 1988 and they have produced dedicated Mille Miglia sports watches each year. 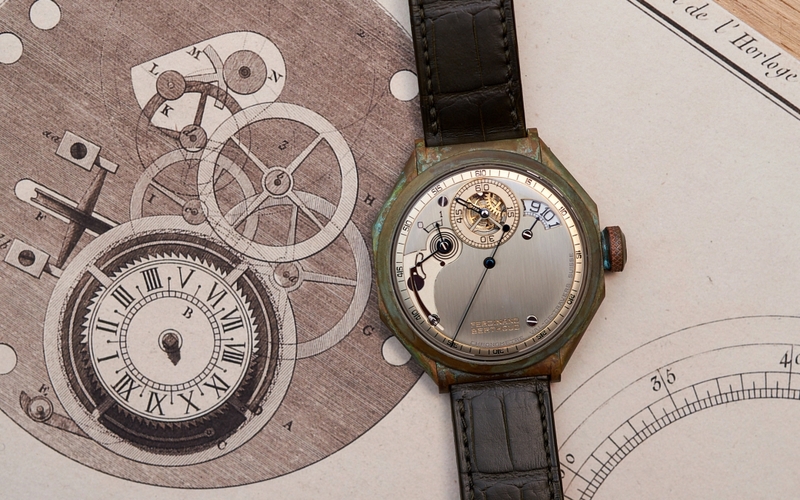 The manufacture always creates a limited ‘Race’ edition, which becomes the Official Timekeeper to the Storica event. Each contestant including the driver and the navigator receive one. This year this co-operation marks its 30th anniversary. 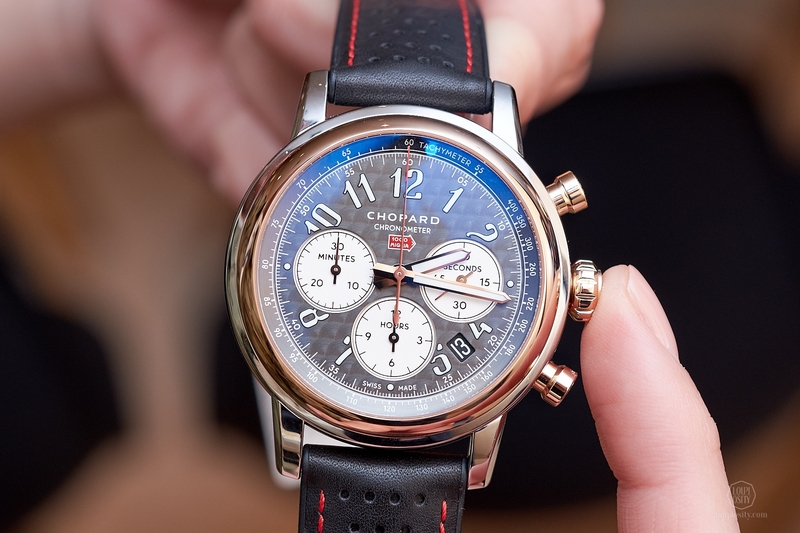 On this occasion Chopard released the Mille Miglia Racing Colours line, making a tribute to the heydays of car racing. It comes with five different dials symbolising five famous racing nations: bright ‘rosso corsa’ red for the Italians, silver grey for Germans, racing green for the United Kingdom drivers, blue for the French and yellow for the Belgians. 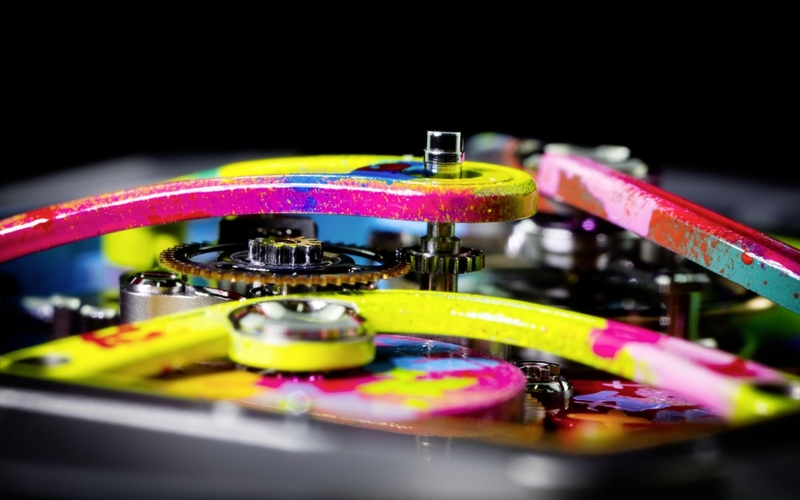 It is a limited edition of 300 pieces in each dial colour and they are ‘boutique and corner exclusive’. 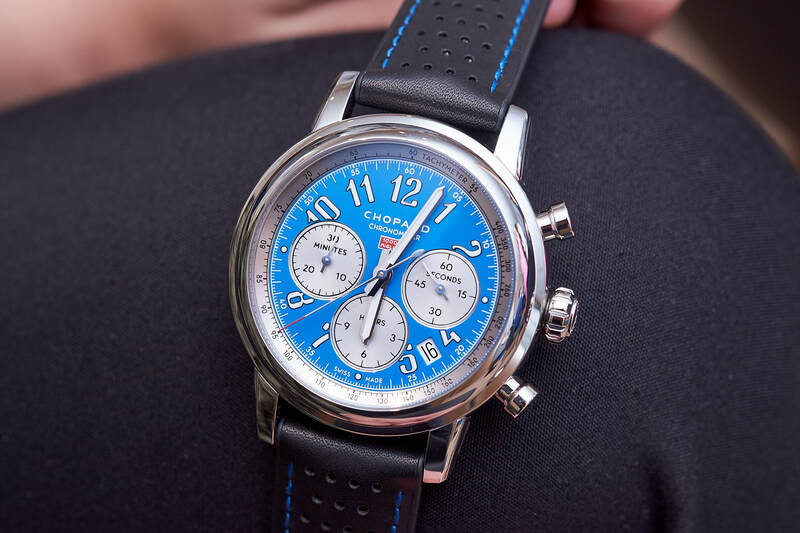 Not only the colours but the whole design of The Mille Miglia Racing Colours chronographs is inspired by the cars that have competed in the Mille Miglia between 1927 and 1940. The Mille Miglia 2018 Race Edition of this year is a 42mm timepiece in stainless-steel (1000 pieces) or steel combined with rose gold (100 pieces) with an engine-turned anthracite grey dial. It features the red Mille Miglia logo at 12 o’clock, date at 4 o’clock, as well as the subtle touch of Super-LumiNova®-painted hands. 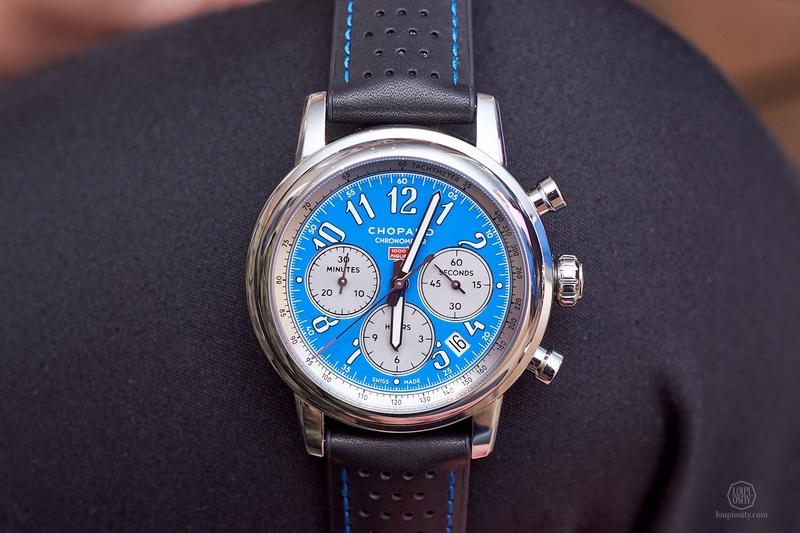 The backside has the inscription ‘Chopard & Mille Miglia 30 anni di passion’. 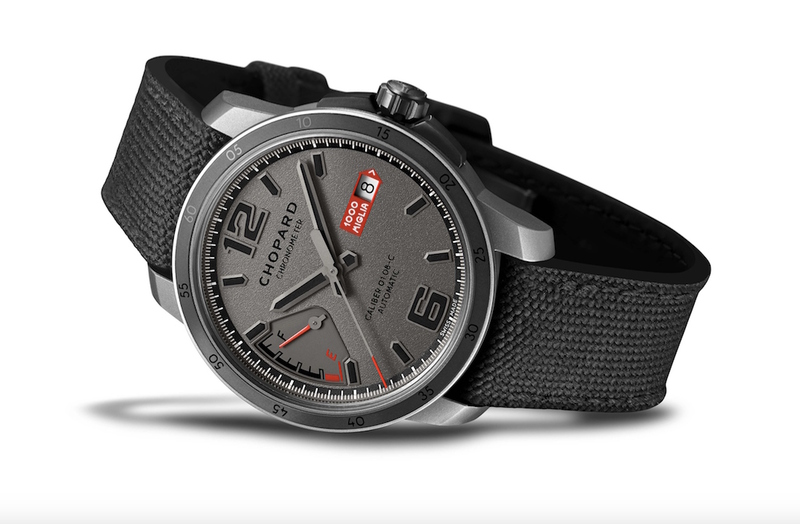 Just before the start of the Mille Miglia 2018 Chopard launched an other limited edition, the Mille Miglia GTS Power Control Grigio Speciale (limited to 1000 watches). It comes with a 43 mm-diameter case in shot blasted titanium with stippled anthracite grey ruthenium dial, red accents and an integrated strap in Cordura, a high-performance fabric used for driver race suits. 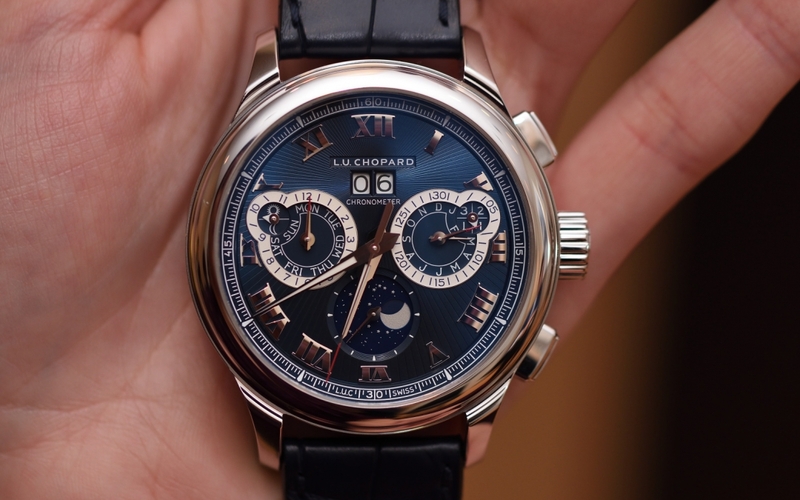 The timepiece is powered by the 01.08-C Chopard movement, chronometer-certified by the COSC.